“We can play the full quota of foreigners but then when the AFC Cup and Super Cup come along, the number of players are restricted. We have two new guys (Vineeth and Narzary) who have come in and it kind of helps us with the lack of foreigners in the lineup. I’m more than happy to play with Indian players. We are likely to make one or two replacements (foreigners). Of course, my mind is starting to drift towards the AFC Cup now,” said head coach John Gregory. FC Pune City will look to revive their season under the tutelage of new manager Phil Brown. 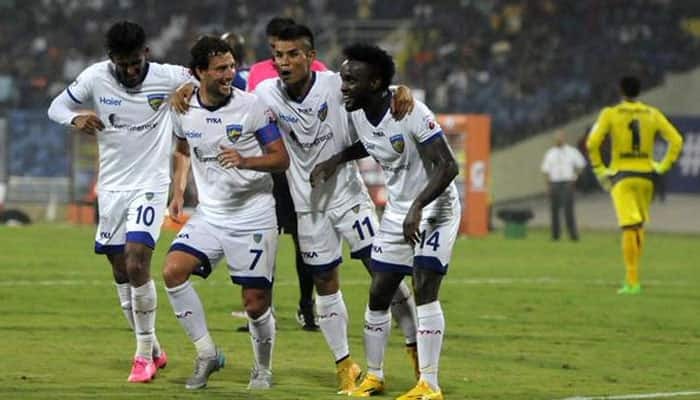 Just like Chennaiyin FC, Pune too have struggled to replicate their form from last season. “When the board of directors of Pune employed me, they told me about the situation and the six games are very important and that we win as many as we can. With a view to my future and future of the club, I understand the challenge. I told them (players) that I want to stay at the club, I want to be a manager in ISL. The only way to do that is giving a good account of myself. Only the players can do that for me and they will be doing that tomorrow and the rest of the season,” said Brown. Pune have won their last two matches and are looking for their third win on the trot. Marcelinho who looked a shadow of his former self initially is finally finding some form. Ashique Kuruniyan holds the key for the Orange brigade after his exceptional performance at the Asian Cup in Indian colours. Chennaiyin FC will be revitalised by the signing of defensive midfielder Christopher Herd which would add more solidity in the middle of the mark, something which they have been missing due to the injury to Dhanpal Ganesh in pre-season. An interesting tie between teams who have had poor seasons so far but would certainly play for pride in order to avoid finishing the campaign as the wooden spooners.